Open Thursday May 5 6:30 - 7:30 & Saturday May 7, 1-3pm - Exactly what you've been waiting for! 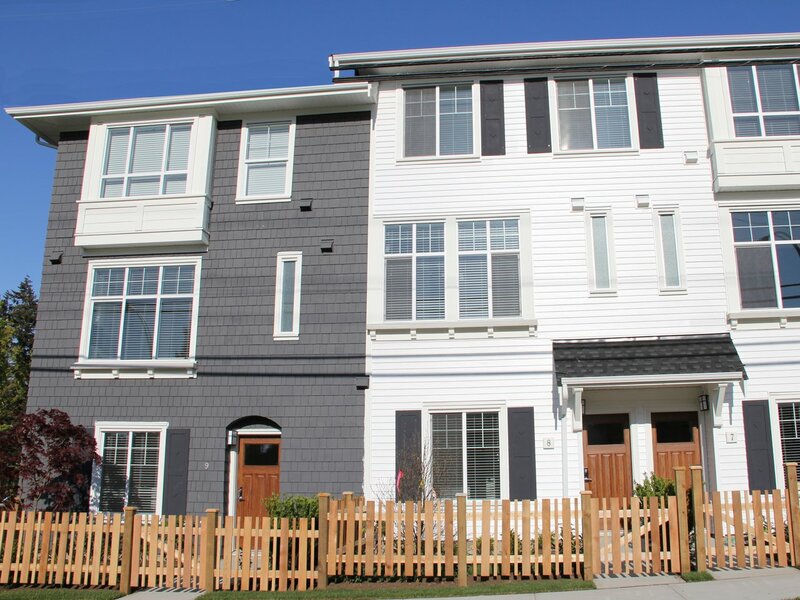 Brand new (GST included), superbly crafted 4 bedroom, 4 bath town home with SIDE by SIDE DOUBLE GARAGE. The Paxton by Pavilion Homes features a gracious & open main floor plan featuring 9 ft ceilings, powder room, access to your private sundeck and a generous kitchen with center island, beautiful white cabinetry, quartz counter tops and stainless steel appliances. Entry level bedroom with separate full bathroom is excellent for office use, especially with sidewalk access to neighbourhood street. Enjoy the cross breezes with screens on all windows, an unimpeded outlook from your front and back windows and Sunnyside Park across the street. Great location - Minutes to all of your favourite White Rock & South Surrey amenities including Morgan Crossing, White Rock Pier & Beaches, Restaurants & the US border - Jessie Lee Elementary & Semiahmoo Secondary Travelers 2/5/10 warranty. Some photos from the showhome.